AANA Connect is the exclusive nurse anesthesia online networking tool where members can ask advice, share expertise, and connect with other members. Below are steps to help you get started. Go to www.aanaconnect.com and click the “Sign In” button in the top right corner. You will then be redirected to the NEW member login page on the AANA website. Enter your AANA member login information. If you do not know your login credentials, click “forgot username,” or “forgot password” in the login box. Not yet a member? Click “create an account” to get started. 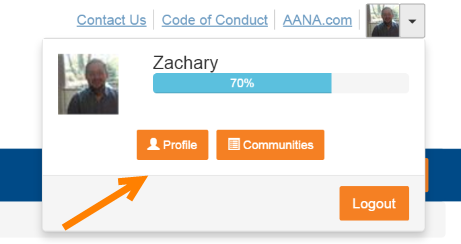 To update your profile, click the dropdown menu in the top right corner and select “Profile.” Here, you can add an image and update your email subscription preferences. You also will be able to add a biography, educational background, job history and much more! 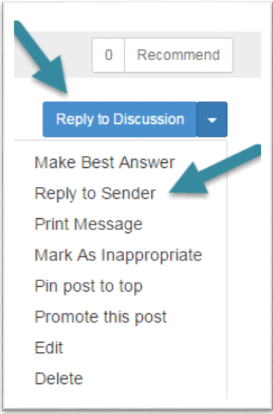 Hover over the “Participate” tab and click on “Post a Message.” On the "Post a Message" page, click on "Select Discussion" and choose the community where you'd like to post. Fill in the subject line, write your post, and click "Send." There are two ways to reply to a message. Reply to a Discussion – Reply to everyone in the group. This option will send your reply to everyone who is subscribed to the community (except those who have selected the No Emails subscription option). In general, we recommend you select this option, unless you’re providing sensitive information or a personal message. Reply to Sender – Reply privately to the original sender. This option will send your reply only to the person who posted the message to which you are replying. This option is appropriate when sending a simple “thank you” or similar message that is intended only for the sender. Daily Digest: You will receive one email per day, combining all of the postings made to the community for that day. You can build your contact list using the directory. 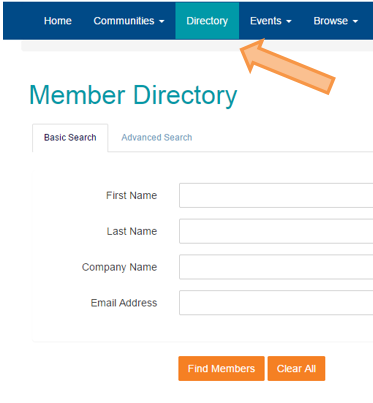 When you click on the Directory tab, you are taken to the Find a Member page. Search by first or last name, company name or email address. You can also do an advanced search if you have specific criteria you are looking for. Please contact communities@aana.com for further assistance.